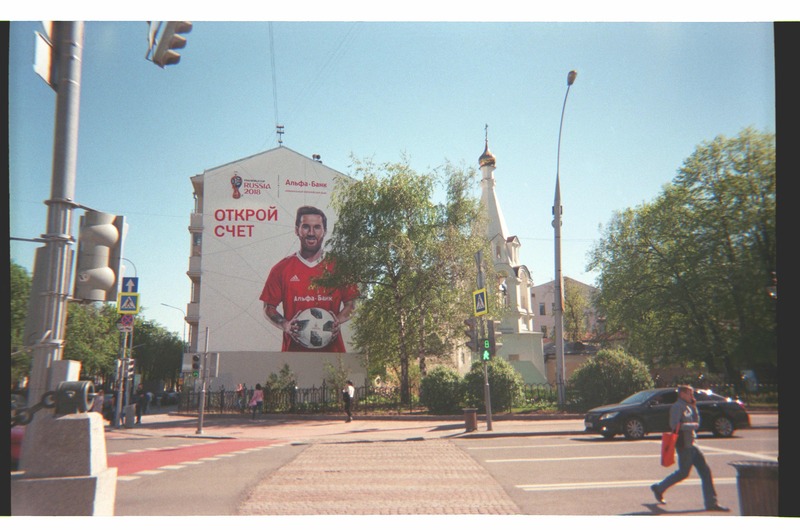 As the world looks to Russia ahead of the World Cup, global photography project Goal Click invited its photographers to capture the country through their own eyes. 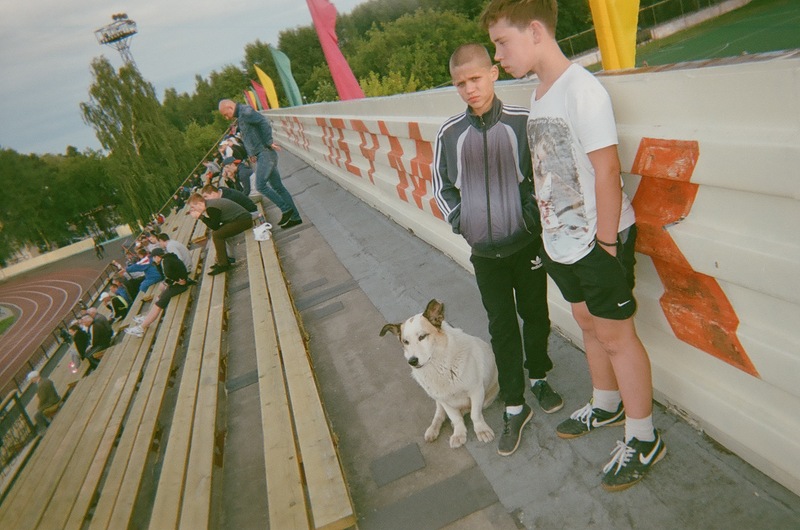 As the world turns its gaze to Russia for the 2018 World Cup, global photography project Goal Click invite its photographers to document the country’s relationship with football – through their own eyes. 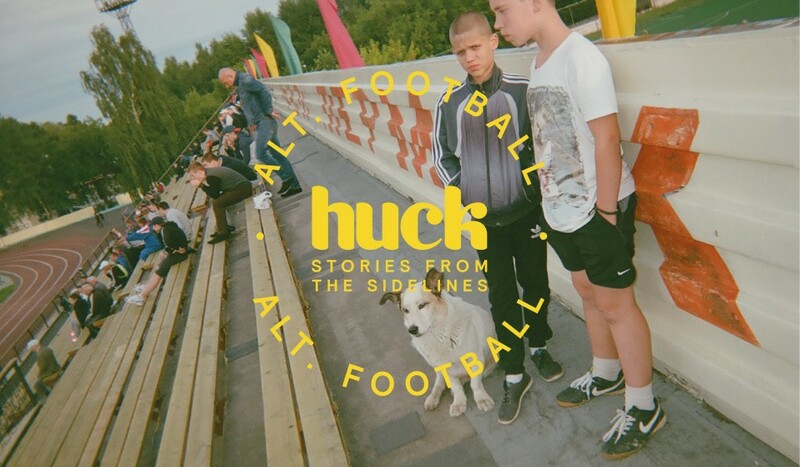 This is the first instalment of Stories From The Sidelines, a new Huck series that explores football from a different perspective. 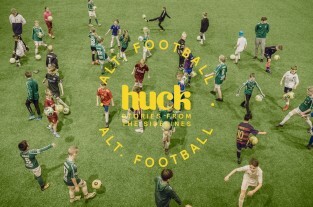 Goal Click is a global photography project, helping people understand each other through football. We find people from across the world and invite them to tell stories that symbolise their country through football. How? 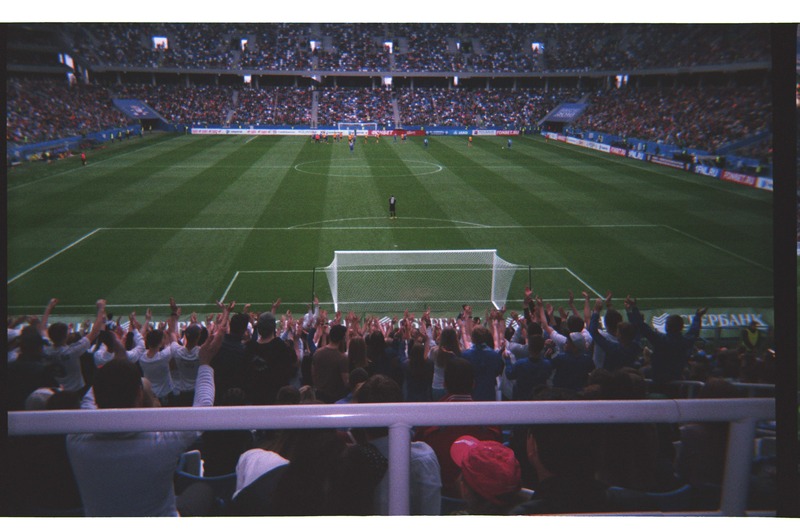 By sending analogue cameras to people around the globe so they can capture the game as they see it. So far, we’ve shared the stories of civil war amputees in Sierra Leone, Kurdish football on the border with Islamic State, Rwandan Genocide survivors, Serbian ultras, Mexican police and Bukatsu after-school sports clubs in Japan, as well as women’s football teams in Cape Verde and Nicaragua. Ahead of the 2018 FIFA World Cup in Russia, we brought together photographers from the country for Goal Click: Russia. 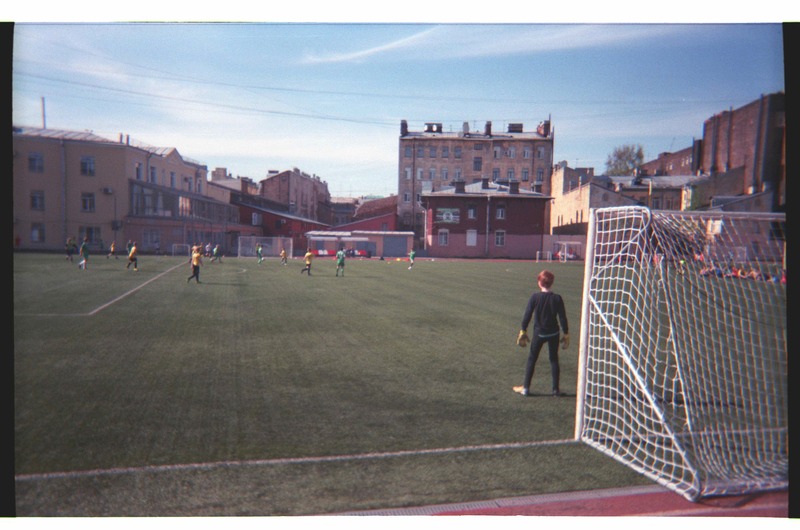 From Yekaterinburg to Kazan, Volgograd to Nizhny Novgorod, the photographers have documented their take on the ‘real Russia’, capturing Russian football culture through their own eyes – all using one disposable analogue camera each. 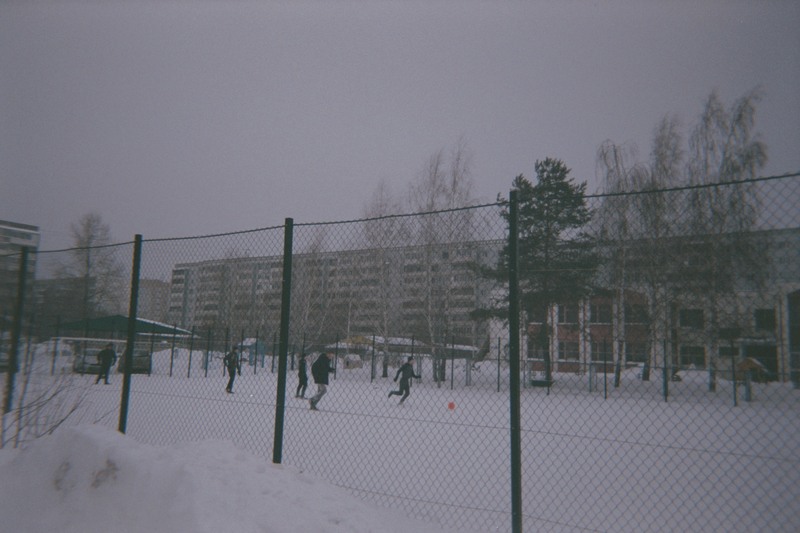 “Football in Russia is so sacred that people (especially adolescents) have absolutely no concern for the weather outside, whether it is rain, heat or snow. I myself never liked to play football, but I understood that this is one of the important ways of socialising. “Although Vladimir region has never had top teams, they have quite an interest for amateur sports and they keep all their resources in good condition. Unfortunately the game was rather dull, they played mostly in midfield. 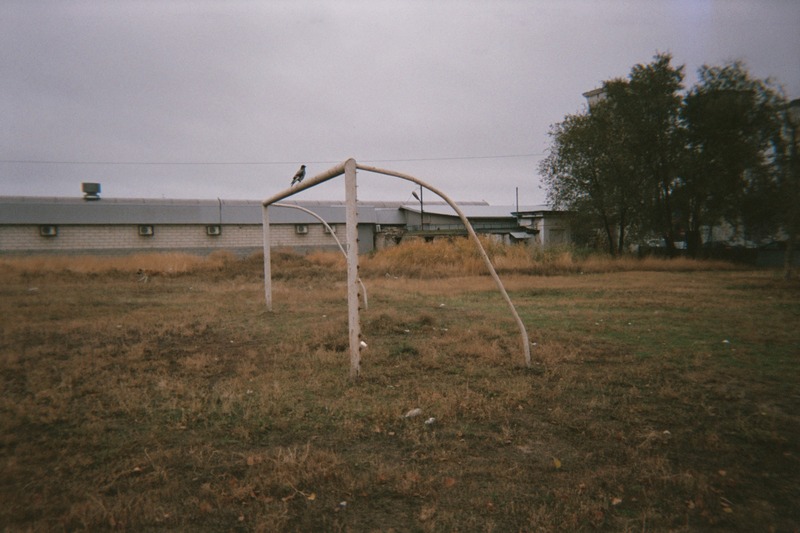 “For many years football was at a very high level in Volgograd. 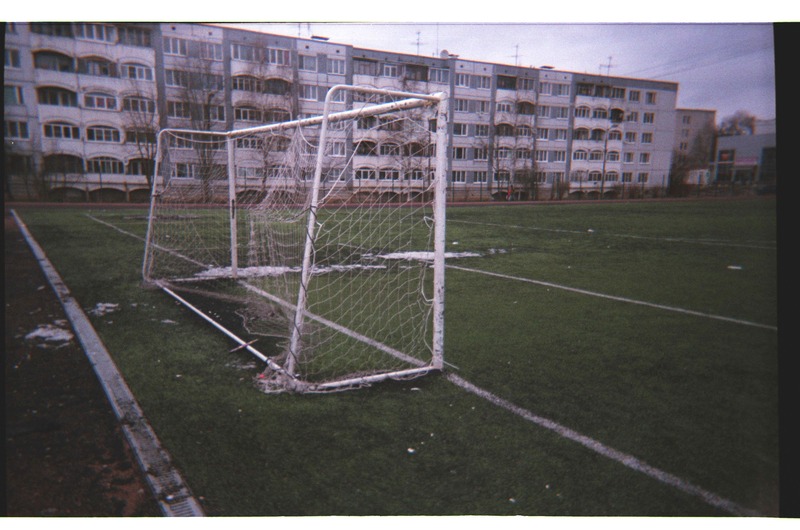 But after years of great performance in Russian and international arenas, football started to decay here. Currently FC “Rotor” is a second division team, but it’s gaining the momentum to get back to the first division. 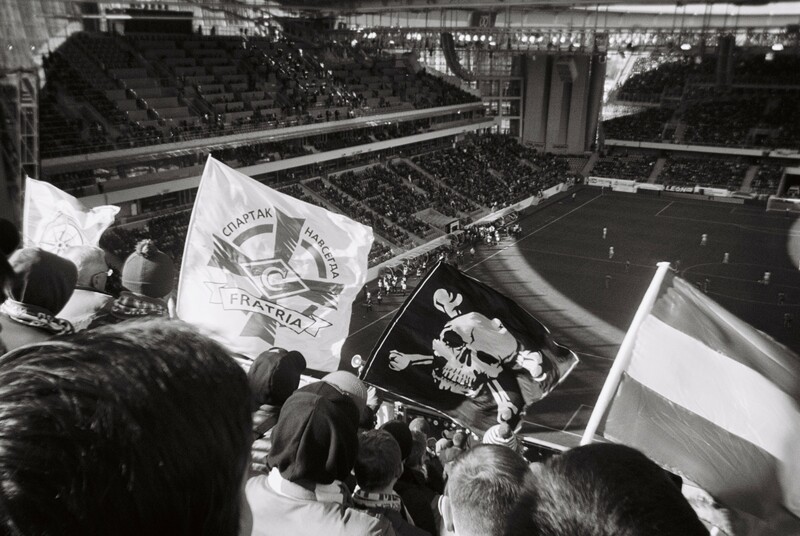 A lot must be changed in Russian football to ensure the improvement of Russian teams. I think that more time needs to be dedicated to minor football, and to build more playgrounds. 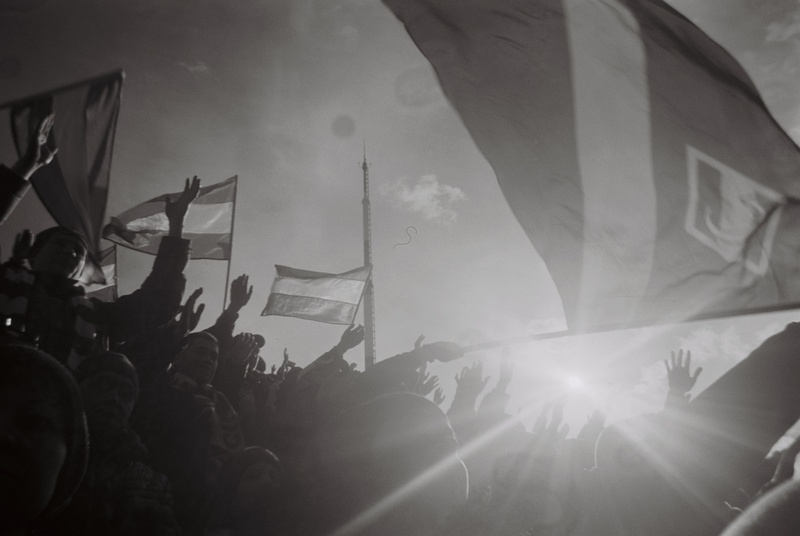 “My favourite photo is where sun that breaks through flags and hands. 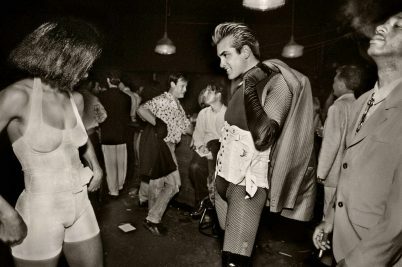 I did not try to distinguish the hero from the crowd. In the world of ultras there is unity. If circumstances so require, they can unite before the enemy. There is a motto that repeats from time to time: ‘One for all and all for one’. At the right moment the ultras can rally for an important matter. Here are the fans of Spartak Moscow. I have been one of them for 17 years. Spartak is the most popular football club in Russia, but had not won the league championship for 16 years. Last year it finally happened. The photos were taken in the new Yekaterinburg Stadium, where the World Cup will be held. Unfortunately after losing to the local team “Ural”, Spartak lost the opportunity to defend the title. Yekaterinburg is a modern city that has managed to cope with its difficult history and offer new cultural meanings. Even the new stadium was not built thoughtlessly – the temporary stands will be removed after the World Cup and the capacity will be reduced to 25,000. It is a comfortable and economical solution. Almost all clubs in Russia – especially the Premier League – belong to and are sponsored by state structures. Football does not develop, as clubs are not interested in making money. They are used to the fact that they are given money by the state. Private football clubs, whose owners are businessmen, try to develop the infrastructure and youth sports schools. 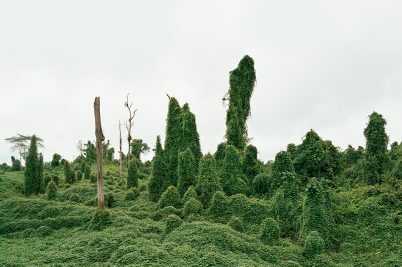 “I tried to show the difference in levels in the region – between Saint Petersburg and a city called Tosno, in Leningrad region (near Saint Petersburg). 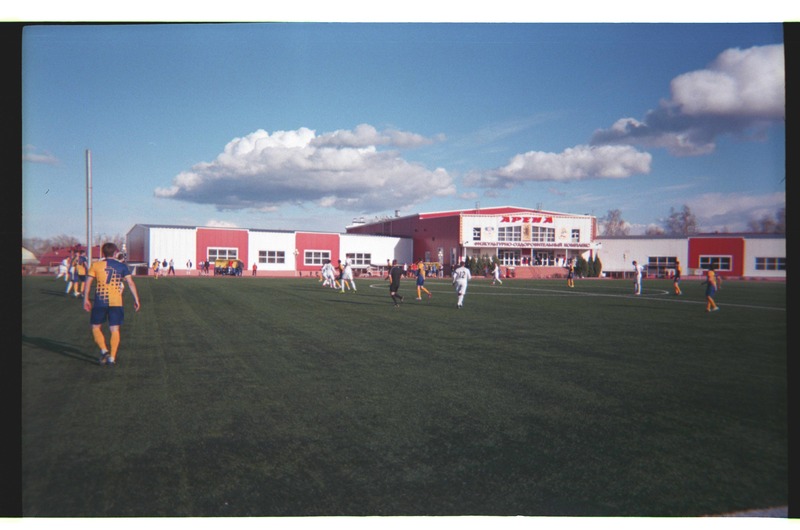 In Saint Petersburg there is an Academy called Vladimirskiy Express. They are in the city centre and were having a training session on a good pitch, organised and assisted with professional coaches and equipment. The pitches in Tosno are quite poor and not upgraded like Saint Petersburg itself. The government does not take care in helping such cities to have success in sports, by providing them better grounds with better equipment. In cities like Saint Petersburg you can find full academies equipped with all the items needed, and kids there have what they want to be future professionals. All of that is just because they are lucky to live and grow up in places where financial conditions are better than the cities like Tosno. “This is the last moment before entering the stands of the big stadium, where the World Cup will be held. You look at this photo and you understand – in ten steps you will forget about everything except football. Unfortunately, in Nizhny Novgorod the football is very bad. We have a strong regional championship among amateur teams, but there is no main professional team. Several football clubs have been destroyed in the city. Previously there was a team called ‘Volga’. 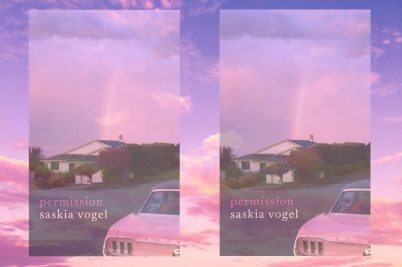 In 2016, it was liquidated because of debts and an unwillingness to solve its problems. 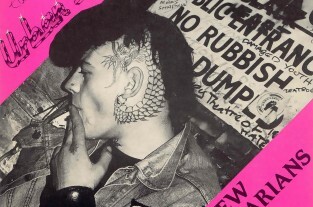 We once again spit in the soul and are insulted. 70 kilometres from Nizhny Novgorod is my native small city of Semenov. I documented a match between my local amateur team FC Semenov (Semenov) and Shakhtar (Arzamas). Behind the pitch you can see the wooden houses of ordinary inhabitants of the province. The number 10 player of our team (in white) is Philip Volchkevich. He is the most experienced player of our amateur team. He started his career in a professional club with the same coach who is now training FC Semenov. Despite his employment (he works in a bank), he travels 70 kilometres three times a week by train to our city from Nizhny Novgorod for training and games. Find out more about Goal Click on their website and Instagram. Stay tuned for more from Alt. Football: Stories from the Sidelines, throughout the World Cup.